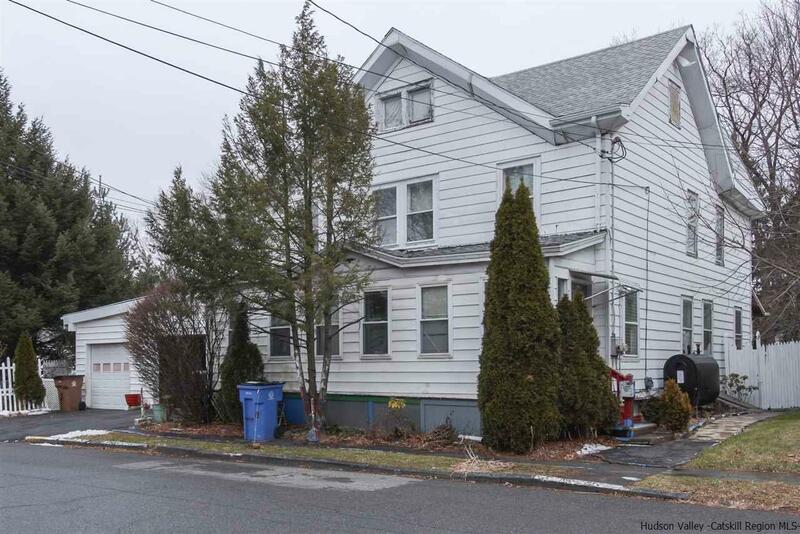 Expansive duplex features two large 3 bedroom, 1 bath apartments. Each unit has a living room, dining room, and eat in kitchen on first floor with interior basement access. Second floors have bedrooms and bath with walk up attic space. The owner recently replaced both furnaces, hot water heaters, oil tanks and roof. The brick chimney was recently rebuilt from below the roof line. There appear to be original oak floors throughout under the carpets. Two car attached garage plus almost half an acre of land. Basement, good sized attic, and front and rear enclosed porches provide extensive storage. Cap rate exceeds 10% percent at asking price. Miscellaneous includes 3% each for vacancy and maintenance. Showings scheduled Saturdays and Wednesdays between 12-3.